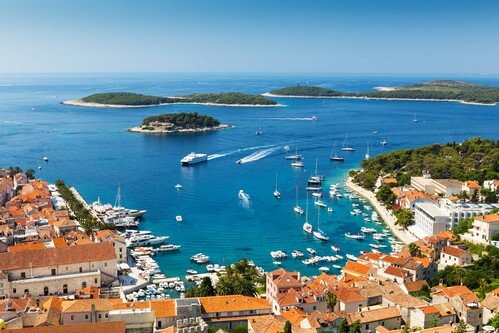 The medieval coastal town of Trogir is situated on a tiny island that is connected to the mainland, and Ciovo Island, via a bridge. The heritage and culture of the delightful Dalmatian town is inspired and influenced by the ancient Greeks, Romans, and Venetians. 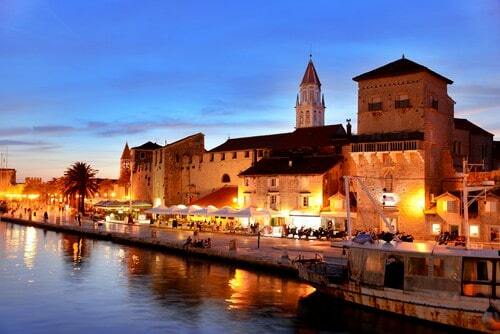 In 1979, in recognition of its unique charm and historic value, Trogir was awarded UNESCO World Heritage site status. You only have to take a walk along the winding cobblestone streets of Trogir to instantly find places of interest. Many of the marble streets in the town’s maze-like centre still feature old-fashioned streetlights that add a touch of romantic atmosphere. 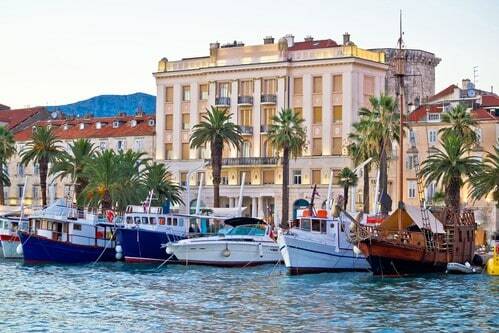 Trogir is encircled by imposing defensive walls and features the well preserved Kamerlengo Castle and tower, along with a variety of elegant Romanesque, Gothic, Renaissance, and Baroque palaces and buildings to admire. Its historic Romanesque-Gothic complex is considered to be one of the finest examples in Central Europe. Explore the Old Town and visit St Lawrence’s Cathedral. The cathedral was built in 1250, but it wasn’t until the 16th century that its bell tower was finally completed. Breathtaking views can be enjoyed, if you climb to the top of the tower. As Trogir is conveniently connected to Čiovo Island by a bridge, it’s easy to enjoy an extended exploration on foot. Venture off in search of a secluded bay or beautiful beach and enjoy relaxing time out. The picturesque deserted lagoons of the Pakleni Islands can be reached via boat. Back in Trogir, you can take a tour around the historic harbour and enjoy fabulous views across the seaside promenade. Relax and enjoy a drink or dinner in an elegant café or restaurant, and admire the expensive yachts as they sail by. Trogir is the perfect place to escape to if you want to avoid the crowds in the busy cities and large towns. Situated off the mainland to the north of Split, Trogir boasts a rich history that dates back to the time of the Illyrians, Greeks and Romans. The medieval town features an impressive collection of Romanesque and Renaissance buildings that are exceptionally well preserved. This is one of the reasons why Trogir has earned UNESCO World Heritage site status. Visit the Cathedral of St. Lawrence and the Fortress Kamerlengo. To experience authentic island life, go shopping in the local green market. Trogir’s coastal position makes it easy to enjoy a day trip to Split. Croatia’s second largest city, and the capital of the Dalmatia region, is home to one of the most well preserved Roman palaces in the world. The iconic Diocletian’s Palace was inscribed on the UNESCO heritage list in 1979. The maze-like complex of the famous marble structure features an eclectic mix of Roman temples, Gothic palaces and modern Mediterranean-style stone houses. There are also shops, cafes and restaurants to explore. The magnificent Klis Fortress was built in the 3rd century BC as a way of providing protection to the town and surrounding areas. 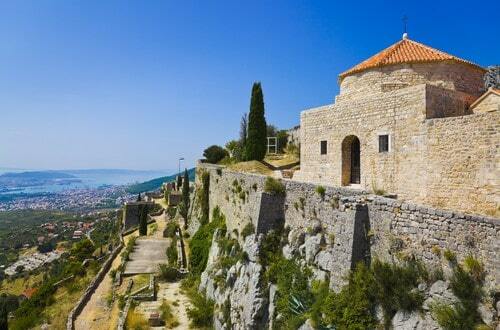 For a long time, the medieval fortress was a landmark attraction that was primarily visited by Croatians. Since it was used as a filming location for the hit TV show Game of Thrones, the number of visitors wanting to explore its rich history and imposing structure has dramatically increased. Wander through the fortress grounds and imagine yourself in a world of fantasy. Trogir’s neighbouring islands of Pakleni provide the perfect retreat for a beach-based adventure. Enjoy a boat ride on the crystal clear waters and go in search of your private piece of paradise. Pakleni boasts hidden beaches and deserted lagoons where you can relax and sunbathe, or swim in tranquility and privacy. The nudist colony, established in the 1950s, is still popular today. Explore the beautiful bay that runs from one side of the island to the other, and enjoy refreshments in a canopied café. 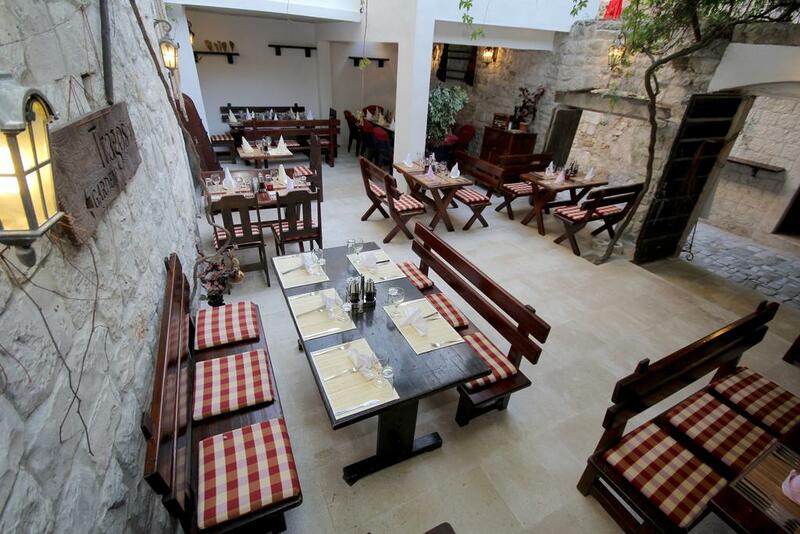 The family-run Restaurant Don Dino flaunts a charming traditional style, and a varied menu of classic Croatian and modern Mediterranean dishes. It has a large outdoor, canopied terrace that is located directly beside Our Lady of Carmel’s Church, in the town centre. The breakfast through to late supper menu includes hearty food that is freshly prepared using locally sourced ingredients. Stop for a coffee and pastry, or feast on fresh fish, meat specialties and homemade pasta for lunch or dinner. 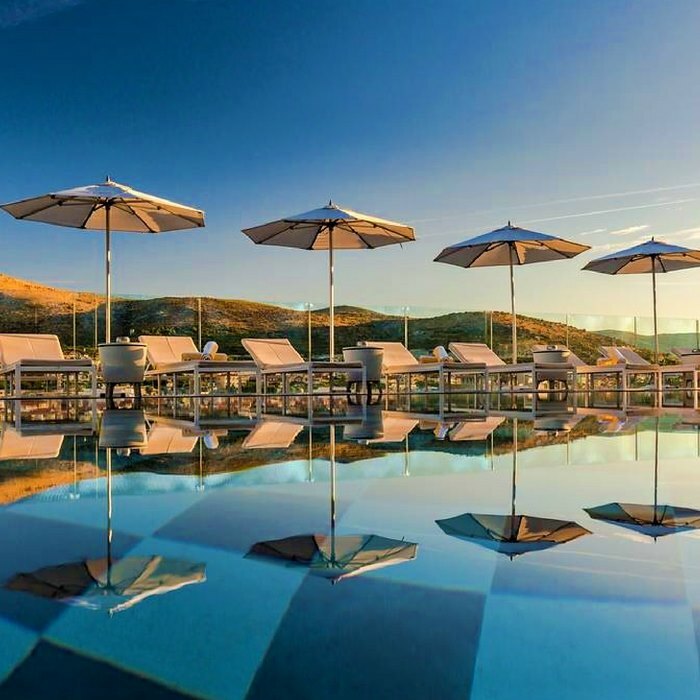 Located in a former tobacco warehouse, this sophisticated four-star boutique hotel sits right at the beach and offers an outdoor pool. Just a 5-minute walk from the charming old town of Trogir. 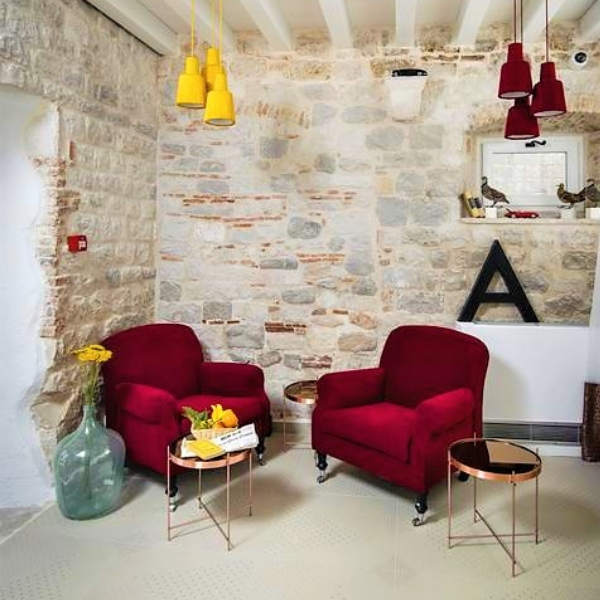 Brand new and stylish boutique hotel near the boulevard in the historic center of Trogir, providing easy access to all that Trogir has to offer.